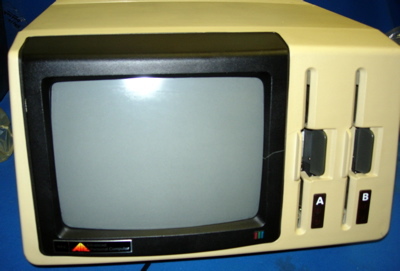 NEC APC-H03 Computer vintage 1982. With (2) 8" disk drives and in excellent condition. Includes NEC APC-H25 Keyboard in original box, NEC PC-8023A-C Printer, NEC and application software on 8" floppy disks, Original Manuals and documentation including NEC CP/M, Concurrent CP/M, MSDOS, P system, Graphics applications, dbase II, Digital Research CBasic and Graphics extensions, Autodesk AutoCad, Micropro Wordstar, Spellstar, Mailmerge, Sorcim SuperCalc, Mouse, Mousepad and more. Also Spare parts including all circuit cards, Floppy disks, Power supply, Main chassis, all removed from another working NEC APC H03. Nice system in working condition donated by R. Becker.